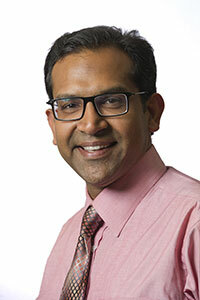 Dr. Aggarwal is an Associate Professor of Medicine at University of Pittsburgh, Rheumatology Division. He is also Medical Director of Arthritis and Autoimmunity Center as well as Co-Director of Myosits Center at University of Pittsburgh. His research interest includes clinical and translation research in myositis, anti-synthetase syndrome and association interstital lung disease. He specifically interested in development of clinical outcomes in myositis and clinicopathological correlation of serological biomarkers like serum autoantibodies in myositis. Dr. Aggarwal’s research interests in myopathies including polymyositis, dermatomyositis, and inclusion body myositis. He is also interested in autoimmune or connective tissue disease related interstitial lung disease or pulmonary fibrosis. Dr. Aggarwal’s clinical interest include the following: General rheumatology, rheumatoid arthritis, lupus, Sjogren syndrome, vasculitis, psoriatic arthritis, sarcoidosis, Myositis, Polymyositis, Dermatomyositis, Inclusion body myositis, systemic sclerosis, mixed connective tissue disease. Also autoimmune or connective tissue disease related interstitial lung disease or pulmonary fibrosis. Dr. Orlando Florete Jr. is a remarkable pain management expert with 17 years of expertise in various areas of anesthesiology. He is the Medical Director and Interventional Pain Management Specialist with the Institute of Pain Management and Director of Florida Institute of Medical Research. Additionally, Dr. Orlando Florete Jr. is affiliated with the Baptist Medical Center, Jackson Memorial Hospital, and St. Luke’s Medical Center. He is a widely acclaimed speaker on treatment algorithms for pain management on a national and international scale. Furthermore, Dr. Orlando Florete Jr. is the author of numerous book chapters, journal articles, teaching materials, and abstracts. In addition to his professional endeavors, he is consistently providing for those in need through donations to a variety of catholic charities. Dr. Orlando Florete Jr., obtained his Medical Degree in 1981 from Cebu Institute of Medicine, in the Philippines. He continued to explore his passion for medicine with an internship and residency at the University of the Philippines. Dr. Orlando Florete Jr. advanced his training with a fellowship in cardiology at the University of Philippines, fellowship in critical care medicine from the University of Florida, and residency in anesthesiology from the University of Florida. He is Board Certified in Pain Management and Anesthesiology with pain management training at the University of Virginia and University of Kentucky. He is also the president and co-founder of the American Medical Marijuana Physicians Association. Over the course of his career, he was awarded the Community Service Award and Winthrop Stearns Scholarship Award from the Department of Anesthesiology at the University of Florida College of Medicine. He attributes his success to hard work and love for the profession. Dr. Orlando Florete Jr. has recently earned inclusion in the prestigious publication The Leading Physicians of The World as a result of his exceptional work in the field of pain management and anesthesiology. The Leading Physicians Of The World is published by the International Association of Healthcare Professionals, the national authority in career and business development. 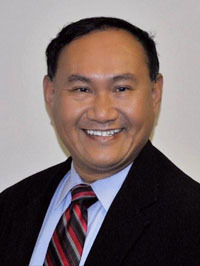 In addition, Dr. Orlando Florete Jr. is a member of the American Association of Pain Management, American Medical Association, Florida Society of International Pain Medicine, American Society of Interventional Pain Physicians, Florida Medical Association, Duval County Medical Society, and American Society of Anesthesia. Moreover, he is a lifetime member of the Winthrop Stearns Fellows and Scholars Association. In his free time, he enjoys boating on his yacht, running, traveling, and reading. Dr. Morgan is a registered/licensed dietitian and an internist. Dr. Morgan's research program has been focused on methotrexate and folic acid metabolism in patients with rheumatoid arthritis. Her work with Dr. Joseph E Baggott and members of the Division of Clinical Immunology and Rheumatology (Drs. Graciela Alarcon, Dr. William Koopman, Dr. S Louis Bridges, and Dr. Laura Hughes) have established the folic acid supplementation during low dose methotrexate therapy for rheumatoid arthritis lowers toxicity without affecting efficacy. Drs Morgan and Baggott have also studied purine metabolism and methotrexate therapy in rat adjuvant arthritis and participate in trials related to methotrexate pharmacogenetics. Dr. Morgan and Dr. Baggott have also investigated the effects of a medical food on osteoarthritis. As the Medical Director of the UAB Osteoporosis Prevention and Treatment Clinic, Dr. Morgan has an interest in bone densitometry and clinical trials related to osteoporosis. 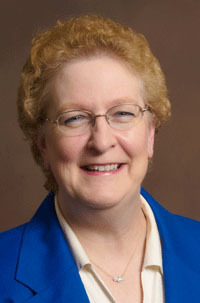 She has been a president of the International Society for Clinical Densitometry. She currently serves as a faculty member related to bone densitometry and vertebral fracture recognition. periarticular tissue responses to different therapies in inflammatory arthritis.